Locksmiths & UPVC/double glazing repair. Ross on Wye. Forest of Dean. 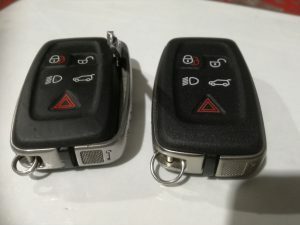 This is an aftermarket remote ready for cutting and programming into Land Rover Discovery 04-09 or Range Rover Sport 05-09. We can also supply and program other LR/RR remotes. (Either genuine OEM or aftermarket). Typically an old, worn Tibbe key will have a similarly worn lock too. 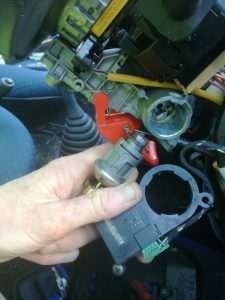 This is a Fiesta lock being stripped down. 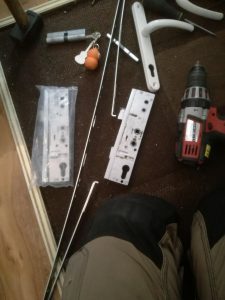 Normally the dustcover has badly worn and will grab a newly cut key and make it difficult, or impossible to remove from the lock. You can gently file the key faces worn so that that the key can pull out, or just remove the dust cover and keep the key sharp. 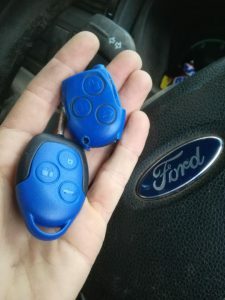 Transit remote…. through a washing machine. Electronic PCBs don’t like getting wet, let alone going through a full hot wash. It might have been OK without the hole in the case. Here’s a remote we had to replace for a customer. 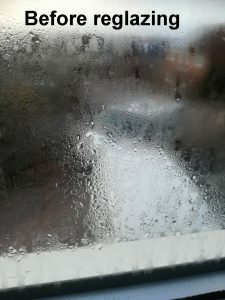 When double glazing becomes misty or full of condensation it is an indication that the seal between the glass has failed. A blown double glazed panel also won’t be as thermally efficient. 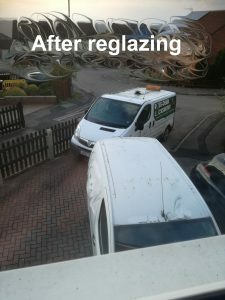 Below is an example of the improvement achieved by replacing a misty double glazed unit. 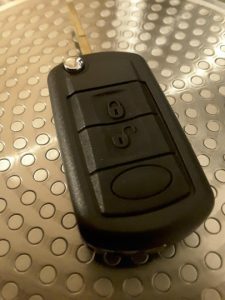 Customer only ever had 1 key for their Honda Jazz, and when they lost that key their car was immobilised in a pay and display car park. 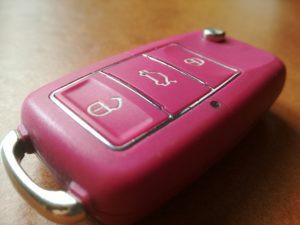 We made a new key in situ, and also made their first remote key since having the car. 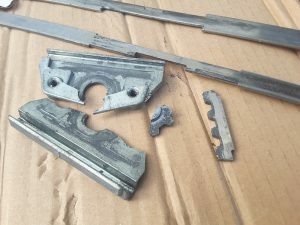 As Winter turns to Spring, or Autumn turns to winter there is always a peak in the number of UPVC door mechanisms failing. If your door is difficult to lock or unlock, get your door adjusted before the mechanism breaks and jams the door locked or unlocked. Corrective adjustment of a UPVC door before it breaks is much cheaper than a repair. 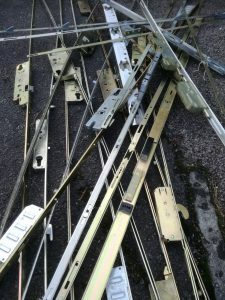 UPVC door mechanisms waiting for the scrap man. A customer’s UPVC window wouldnt open. It’s obvious why when you look at the photo. 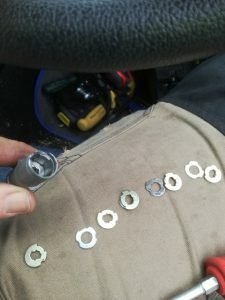 There were 4 or 5 other bits of broken cog but I dropped them in long grass. This is a Coldseal Tallon mechanism. It was discontinued many years ago. To replace it a completely different mechanism has to be adapted in order to repair the UPVC window. 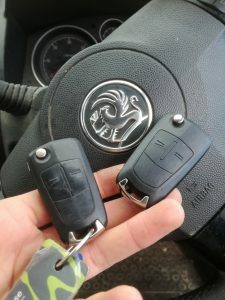 Land Rover Freelander 2 remote repair. These remotes do not have an easily replaced battery. It’s actually soldered onto the circuit board. 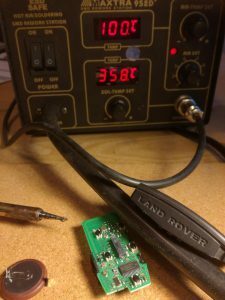 It isn’t a difficult job to replace the battery, but be very careful what your’re touching with the heat gun/soldering iron – especially if you’ve only got the one remote. 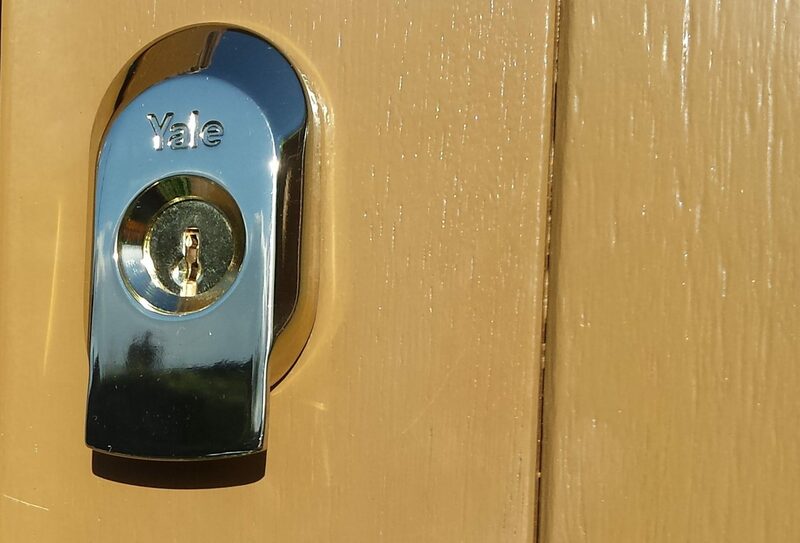 Imagine the scene… your UPVC door has been awkward to lock/unlock for a few weeks. You’ve been out all day with the family, but you can’t open the door. You’re all locked out, standing in the street until you can get hold of a locksmith to let you in. The strain caused by the door being badly adjusted has caused the gearbox to break inside the door. It’s a really common problem. 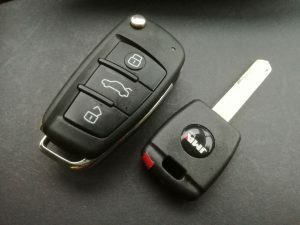 If you doors aren’t smooth to lock/unlock; either get it sorted, or be prepared for the mechanism inside to fail completely. Having opened the jammed door the faulty gearbox is now being replaced. 1 Gable Glen, Caudle Lane, Ruardean. Glos. 24 hours, most days of the year. Feel free to give me a ring if you have any questions.